This is one of the most cost effective modifications that you could ever hope to perform on your TI. 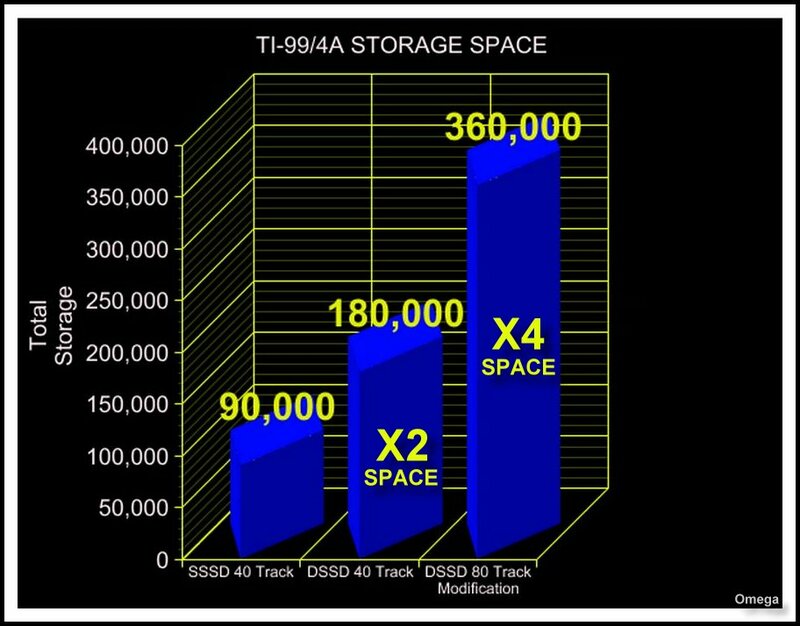 Where else can you double or even quadruple your storage capabilities for so little money? If you've already purchased the Lotharek HxC, or a 3.5" drive, you'll easily and instantly double your storage capability. Atari Age user sjt made a GREAT POST << HERE >>with photos of this project. Atari Age user atrax27407 of Hummingbird EPROM's will burn the chips for you and send you the pair for only $12.00! If you're interested, click his user name on the above line and send him a Personal Message. He takes PayPal, so that means it's quick and easy to order. The man also has a good reputation, so you can feel comfortable about ordering. A) DSK 1 40 Track with DSK 2 & 3 as the 80 track drives. C) DSK 1 & 2 40 Track with DSK3 as the sole 80 track drive. The main reasons for using sockets? If you ever need to replace a defective chip or update the programming, it'll save a lot of extra work. Using sockets also reduces the chances of damage to the decades old and harder to obtain disk controller. So, why run a lame little 90K or 180K disk drive when you could max out at 360K with a 3.5" disk drive or a Lotharek HxC floppy emulator? You already have the hardware, so spend a couple of extra bucks to really get the most out of it.